Malian refugees are pictured on February 4, 2012 at a Malian refugees camp in Chinegodar, western Niger, close to the Malian border. The UN says violence in the country has forced 20,000 to flee. GENEVA – The UN refugee agency said Tuesday it has sent emergency teams to countries surrounding Mali to help them deal with an influx of more than 20,000 people who have the fled fighting there. Clashes between rebel Tuareg groups and governmental forces in the Azawad region of northern Mali broke out in mid-January. In the past three weeks, at least 10,000 people are reported to have crossed to Niger, 9,000 have found refuge in Mauritania and 3,000 in Burkina Faso, the UN High Commissioner for Refugees (UNHCR) said. THE $200 million new headquarters of the African Union – a gift from China – is another confirmation of the continent’s inability to get things done by itself. Almost 50 years after the formation of the Organisation of African Unity, OAU, the AU’s forebear, the continent could not afford the AU’s new edifice that has cast a permanent role for China in Africa. Disgraced Libyan despot Moammar Gadhafi could be largely thanked for the new building. As AU Chairman in 2009, he was planning to move the AU’s headquarters from Addis Ababa to his native Sirte. 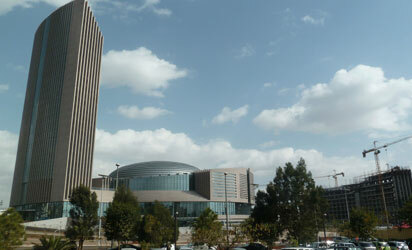 The Ethiopians, who have been close to China, secured the AU headquarters with the offer from China, which built and furnished it. Drought in Somalia, Kenya, Ethiopia and Djibouti is pushing tens of thousands of people from their homes as millions face food insecurity in a crisis visible from space. ESA’s SMOS satellite shows that the region’s soil is too dry to grow crops. Somalis, who already face war in their country, have been fleeing to neighbouring countries in search of refuge. In Kenya’s Dadaab refugee camp, for example, over 1000 people – mostly children – arrive daily, severely dehydrated and malnourished. With the UN warning that both East and the Horn of Africa have been hit by the worst drought in 60 years, international aid agencies have warned of an alarming gap in the food pipeline to reach those most in need. 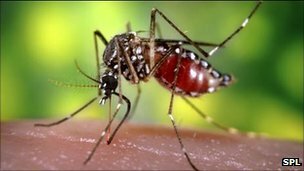 More than 10 million people are thought to be affected across the East African region. The UN says that large swathes of central Kenya and Somalia are now in the “emergency” category, one phase before what is officially classified as famine. 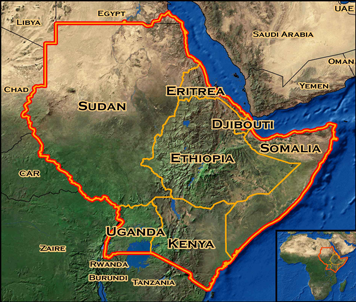 The crisis is most acute in Somalia, Ethiopia and; central and northern Kenya. Refugees are now arriving at the Somali camps in northern Kenya, at a rate of 1,200 every day.